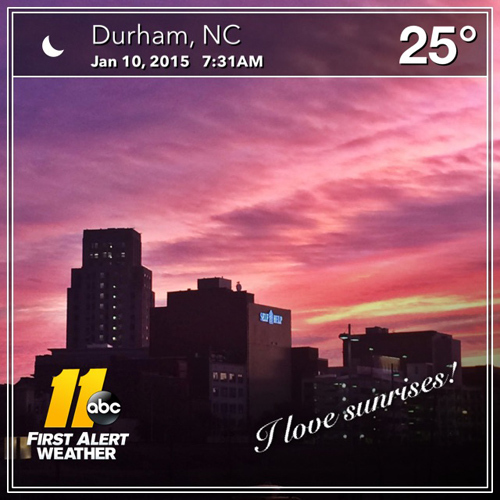 DURHAM (WTVD) -- Now you can be a part of the First Alert Weather team - by sharing the weather conditions where you live! 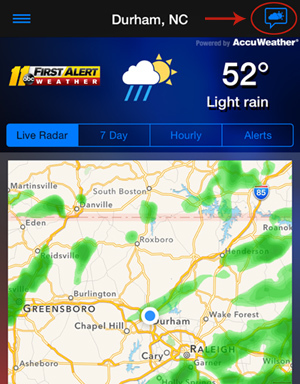 Download the latest version of the ABC11 First Alert Weather app from the App Store or Google Play. 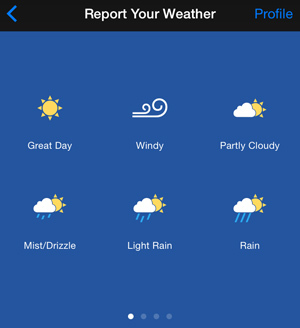 To get started, tap on the talk bubble icon on the top right of the app home screen, or tap the menu icon and select "Report Your Weather." 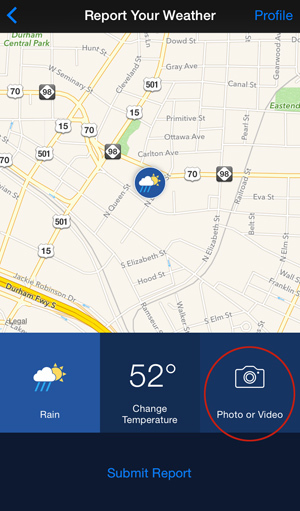 Swipe for more options, including storm damage and power outage. If your weather report includes a photo, you can then share it via email or social media as a "Weather Postcard."